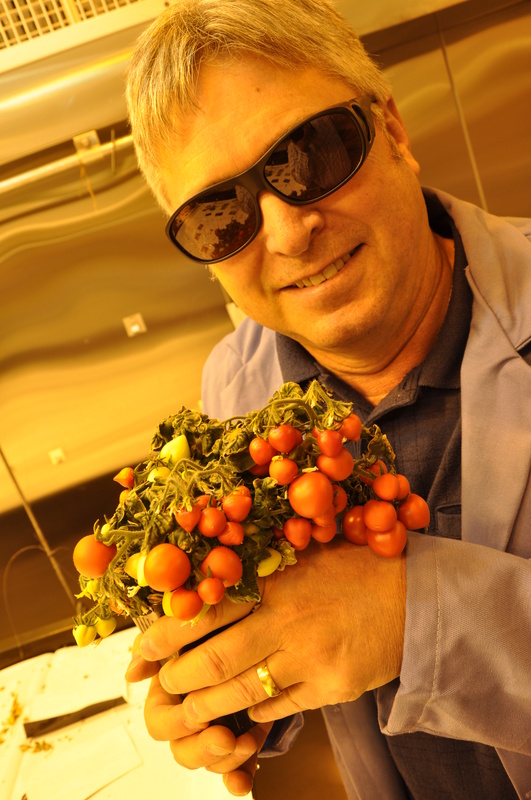 Veteran atmospheric control researcher (and world leader in his field) Mike Dixon explained how his lab was developing environments for food plants that could be grown in spaceships headed for Mars. His knowledge of nutrient efficiency in plants is giving Canadian greenhouse producers a leg up. He’s worked with artist Christian Giroux and engineer John Phillips in a haptic (touch) lab to turn ideas into tangible technology. Back on Earth, researchers David Ma and Jess Haines are working to keep track of, and promote, the wellness of up to 3,000 Guelph families in a various social and economic conditions. They want to introduce best health practices to these families, see how they fare in the long run and offer it as a model for others to follow. Those who fund this research know we need people to be healthy mentally and physically if they’re going to create and contribute, make life fuller, start new businesses, be leaders…and maybe one day travel into space. Innovations such as this are part of a promotion to get Ontarians to vote for what they consider the top innovation from universities in the past 100 years. Fifty such innovations have been put forward, and five are from the University of Guelph. Register your vote here and see how research results are indeed everywhere.